Mercedes 500SL Convertible. 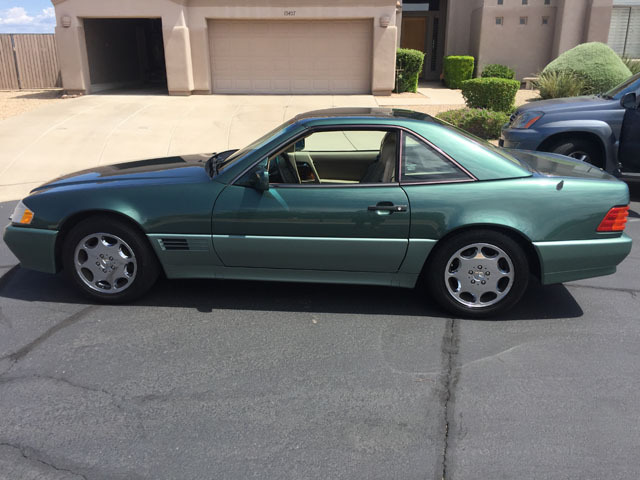 This car is a really nice 1993 Mercedes 500SL with 85,600 miles. 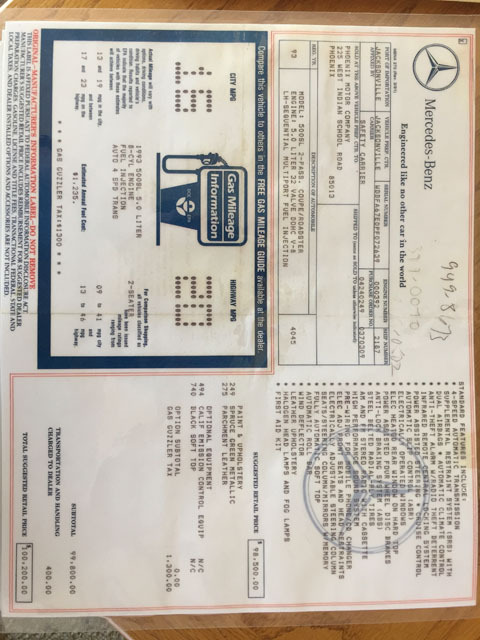 My Dad was I think the second or third owner and I have the original window sticker and all the maintenance records. It has spent its whole life in Arizona and is totally rust free. 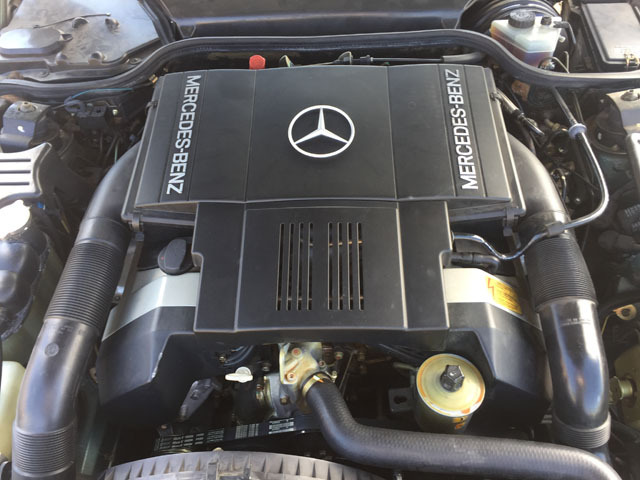 My Dad always had the car serviced at Schumacher Mercedes in Scottsdale Arizona. The car is in Scottsdale/ Fountain Hills now, and wears a rare factory color scheme.The car runs excellent, drives very well and has never had a problem passing emissions every year in Arizona. My Dad never spared an expense with this car and it currently has new Michelin tires with about 500 miles on them. 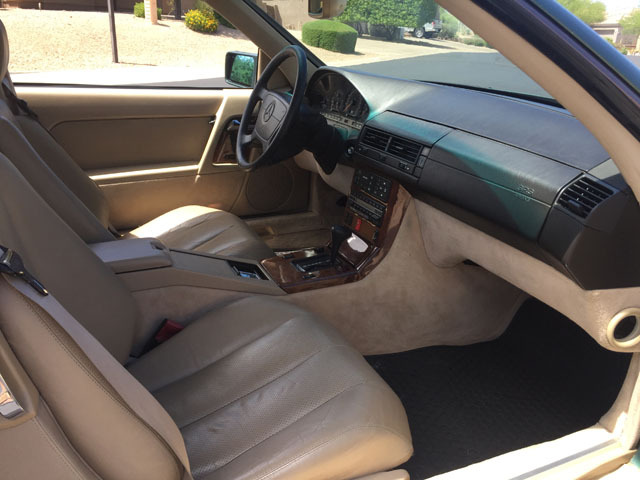 The car has no warnings lights (and there is a lot to choose from on the dash) and the A/C has no problem cooling the car down on 100 degree Arizona days.The car is a convertible with a removable hard top. I have a nice stand with wheels for the hard top when its not in use that goes with the car. The car also comes with a custom fitted car cover. If you are looking for a nice collector SL 500 with all the documentation this is it. Minor condition issues (I am a picky collector) include a 1/2 seam separation in the driver?s seat, one of the wheels has some minor curb scuffing, the trunk lid needs new gas struts to stay up and the insulation under the hood is deteriorated due to age. The car comes with new gas struts (I will try to have them installed) for the trunk and new factory insulation for under the hood.